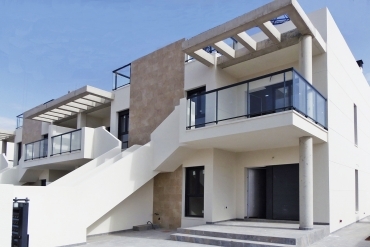 Would you like to buy a new build apartment in Mil Palmeras, Costa Blanca? At Casas Espania we offer you a great new build apartment. As you know, at Casas Espania we feel passion for our work and we want that our clients find always their dreamed home in front of the Mediterranean Sea. We always provide an excellent and customized service, oriented to help you during the whole buying process. We will listen to you and we will make available to you exactly what you are looking for. At the same time, we have a large experience in the local property market, so we are able to help you with every administrative step related with the purchase of a property in the Costa Blanca. If you want to buy a new build apartment in Mil Palmeras (Costa Blanca), we are sure that with Casas Espania you will find the right apartment for you. 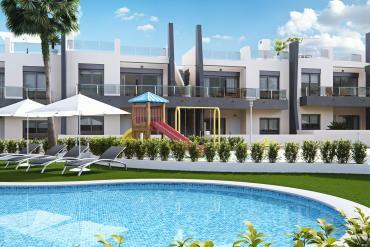 We want to talk you here about our new apartments for sale in Mil Palmeras, Costa Blanca. Currently we have available for sale several new build apartments, which are available with 2 or 3 bedrooms, and include stunning views over the Mediterranean Sea from their large terraces. Our new available apartments are the perfect option for both particulars and families. To buy a new build apartment in Mil Palmeras (Costa Blanca) will be really easy with Casas Espania as we will be glad to show you in detail all of the apartments of the building under our close approach and professional style. Some of the extras of these new apartments are the communal swimming-pool, the spacious lounges or the underground parking among other elements. Contact with us if you want to buy a new build apartment in Mil Palmeras, Costa Blanca.